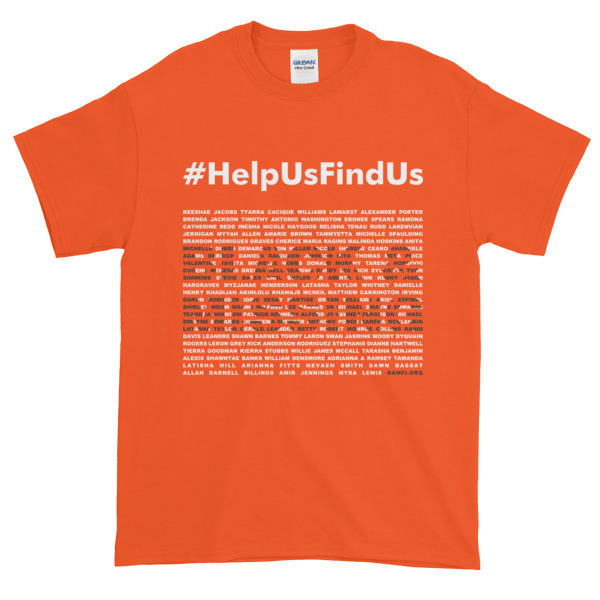 Show your support and help us raise awareness for our important mission by wearing an exclusive #HelpUsFindUs shirt. Copyright Black & Missing Foundation, Inc. - All Rights Reserved. BAMFI is a non-profit 501(c)3 organization. All donations are tax-deductible. 100% of the proceeds from the sale of products will go to raise funding for families of the missing.